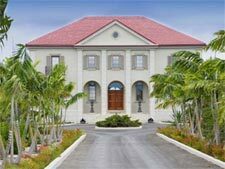 The jewel in the crown of Provo is Grace Bay. This is a sweeping crescent bay with soft sand beaches, a barrier reef protecting the shores and the protected dunes running the whole length. The development is still very much on going with some not even started yet so it will be some time before the building stops. In the mean time there is no excuse not to visit this gem of an island and experience it yourself. From a water enthusiasts stand point there is everything, fishing, deep sea and sport and notably bone fishing, (shallow water fishing which the TCI have a lot of) world class diving with many excellent locations, and of course the usual beach sports available at key points up and down Grace Bay. 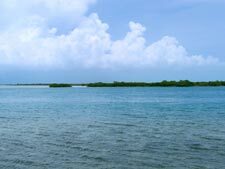 All in all a very well rounded island vacation destination with good weather and usually little or no interruption from the usual June through November weather systems which mare many island jaunts. 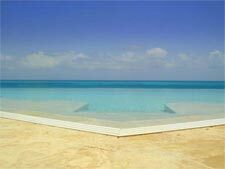 So when you visit the TCI and Provo in particular where should you stay? We have villas and hotels on this island and of course they were the primary reason for our visit. All of the villas have WIFI as standard so connectivity is assured. It can sometimes be erratic especially if a storm system moves in but it is always there. Also, all the villas have washer dryers on site which makes laundry for those who need to, very easy. Every villa has easy access, no steep driveways or blind approaches and each has ample parking for the property. On some you can moor a boat too, quite an enticement should you wish to try your hand on the sea. Additionally, almost all of the villas have full AC which is a delightful amenity especially on hot sultry days. We visited almost 40 villas during our stay. 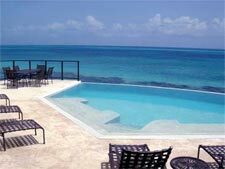 In summary we felt the villas were well appointed and were generally very well suited for vacation rentals. The fact that so many of them were steps from the beach was a big plus. We stayed in Villa Paprika, which we both liked. In addition to our "home base" of Villa Paprika I'd like to put the spotlights on a few other interesting villas and hotels. Set back from the beach this 3 story villa will not disappoint you, like its sister Tamarind all amenities are in this "Manor House" as the villa book says. The ground floor has 1 ensuite bedroom and with access from the living room, is ideal for elderly or infirm. Upstairs on the second floor, 3 ensuite bedrooms all with king beds and 2 of these have 2 kings in each so the rooms have plenty of space. Continue to the 3rd floor and the 5th ensuite bedroom king bed of course and quite dramatic views too. The ground floor also has the great room, dining area and spacious kitchen, I for 1 could not find anything missing, there is even AC here too. With great space inside and out, accommodations for 12 this villa is sure to please a family or group of friends, 2 ornamental cannons, which quirkily fit this villa nicely, guard the outside entry. Built on 2 main levels there is also a fully equipped gym and nanny/staff apartment below the pool area. Entry to this villa is as dramatic as I have come across in all my travels checking out villas. Through the front door the property opens up with floor to ceiling windows showing off the cathedral ceilings in this very well laid out villa. The great room is the focal point opening out to the deck and pool area with all the toys you come to expect from this modern villa. The gourmet kitchen to the left is set back from the dining area but open to the space for easy access and convenience. On this level there are 2 king bedroom suite and each of these ground floor rooms have an indoor/outdoor shower.